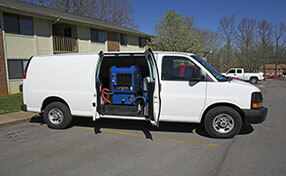 You won't find better carpet cleaning tips. Use the following ones for effective care and maintenance. 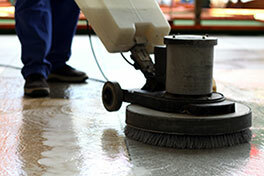 Get excellent ideas on how to clean tiles, rugs and carpets! Get familiar with the usual problems of grout and how to deal with them. As soon as you see stains in your carpet, you have to remove them immediately. This will ensure that stains won’t stick longer in the carpet. According to Newport Beach cleaning experts, if stains stay longer, it will take a much longer time for them to be removed. If you see gum in your carpet, it spells disaster. Before you freak out, there is a very simple trick to resolve this issue. You just have to use ice! Place it on top of the gum to harden it. Then, you can scrape it off easily. When treating crayon stains remove the excess and then use a blotter to remove the rest. Press the blotter with a warm iron until the crayon is melted and the blotter absorbs the stain. Make sure to move the blotter frequently, so it doesn't end up oversaturated. Apply dry-cleaning fluid, let dry, and then gently vacuum the affected spot. The way rugs are cleaned differs in accordance with the texture of the rugs. Different fibers require different rug cleaning process. Avoid scrubbing them with force. Machine-made rugs are more resilient but they still could do without force. For handmade Persian rugs, be gentle. Blot stains and be extra careful when you vacuum them. Otherwise, fibers lose their initial form and elegance and won't look good. 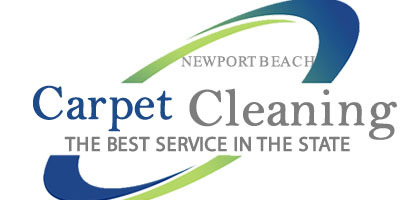 The professionals of our carpet cleaning company in Newport Beach explain that this is crucial because some chemicals may react with the compound which has caused the stain, and this can damage the fibers or the dye that gives the your carpet its unique color. You would not want to risk turning a common issue into a very serious one. Once you've had your carpet and upholstery cleaned by our professionals, there are some simple precautions you should take. First, stay off the cleaned carpet until it's completely dry, and keep traffic to a minimum for at least 24 hours. Leave pads or blocks our technicians placed under your furniture in their place until the carpet is completely dry. For any additional questions or concerns, just give us a call for guaranteed 100% complete customer satisfaction.